Conservatory Window Films is an alternative to polycarbonate solar inserts and reflective roof inserts as well as blinds which can be difficult to install and operate due to roof angles and differing sizes of window. Window films gets around these problems. Not only can be installed on roofs, but it can also be cut to awkward sizes creating a perfect protective barrier from the suns heat. 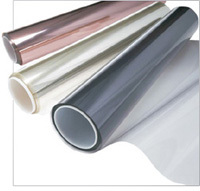 Our Window Films comes with a full manufacture's guarantee. This guarantee protects against any cracking, demetalization, peeling or bubbling of the film installed by Solaire Conservatory Window Films. We will replace, free of charge, any film that is found to be faulty.